The Gibbs-Morrison Cultural Center at 1823 Church St. Aldermen voted 7-2 to remove a line item from the proposed 2019 budget that would have cut city programming at the center. 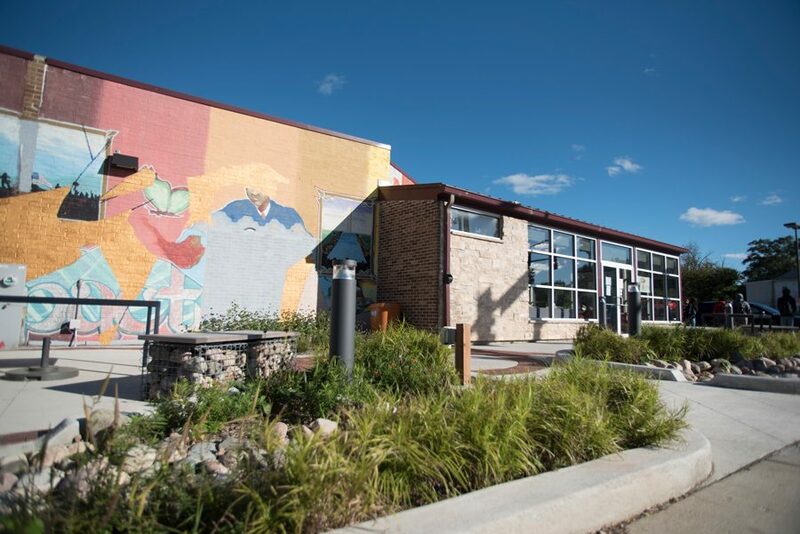 Aldermen voted Monday to remove a measure in the proposed 2019 budget that would have cut city programming at the Gibbs-Morrison Cultural Center. In the proposed city budget for fiscal year 2019 — which contains a $7.4 million deficit — city staff recommended to cease operating the center, which is located at 1823 Church St. in the 5th Ward. Rather than cutting programming at the center completely, the city had planned to find a different operator, city manager Wally Bobkiewicz told The Daily. Gibbs-Morrison is the smallest city facility in the Parks, Recreation and Community Services department, he said, and it would have given the city the “greatest opportunity” to find another operator for the center. Ald. Robin Rue Simmons (5th), whose ward the center is in, proposed the removal of the measure after speaking with community members and staff to try to find alternative ways of raising revenue for the center. She said it has been a stalwart presence in the community and that she has been working to find ways to improve it. Alderman voted 7-2 on Simmons’ resolution to remove the Gibbs-Morrison measure from the proposed budget. Rue Simmons said she has invested a “substantial” amount of money in the improvements, and that there are plans for the center that includes public art, among other things. On Monday, Bobkiewicz reiterated the budget proposal, but said he was supportive of the work Rue Simmons and department staff had begun over the past few weeks. Currently, the center features the First Slice Pie Café and the Delores A. Holmes Recording Studio, which is open for private rental sessions. Ald. Peter Braithwaite (2nd) said he supported keeping the center operating and that he is “looking forward” to hearing Rue Simmons’ ideas for new revenues. Ald. Judy Fiske (1st) said she had a “very animated and very positive discussion” with other aldermen and residents about the facility, and that she was surprised to find out how the community has “embraced” the building. She said she believes “minor adjustments” could greatly help the facility and attract more residents to use the space and eat there.